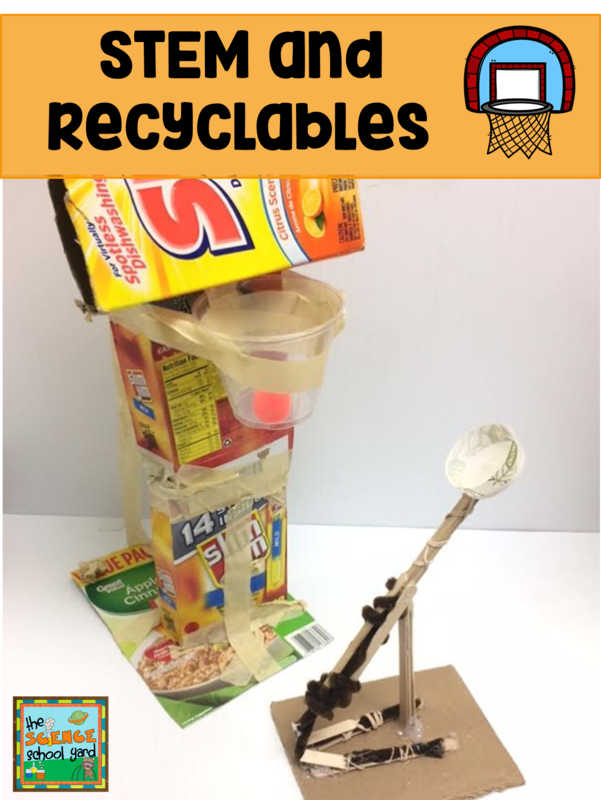 I love to connect what is going on in the real world and bring it into my science classroom! We are just finishing up many of the FOSS kits, so why not add some engaging STEM activities that are also timely! We are an athletic family. My husband is a PE teacher and a Baseball and Football coach. My kids also are and have been three sport athletes. 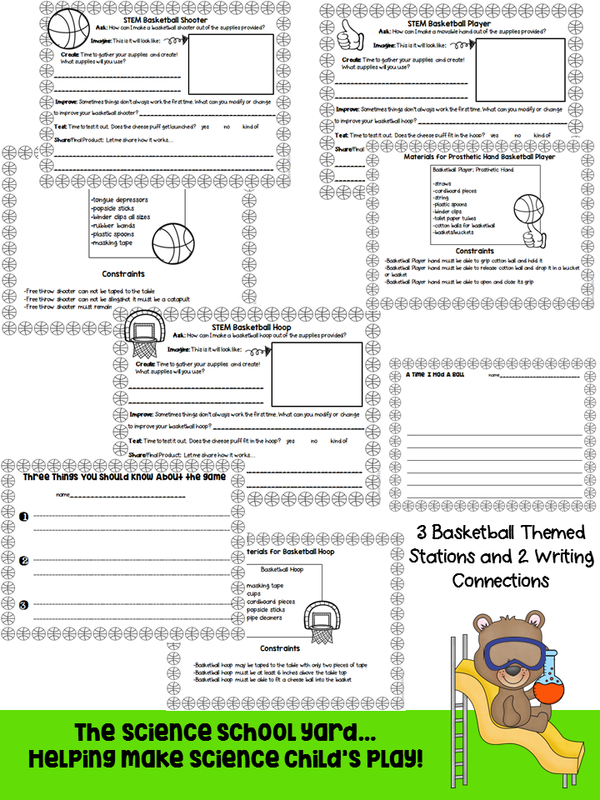 I love to share little stories with my students so when March Madness rolled around this year, I figured it was the perfect opportunity to share what my family does! 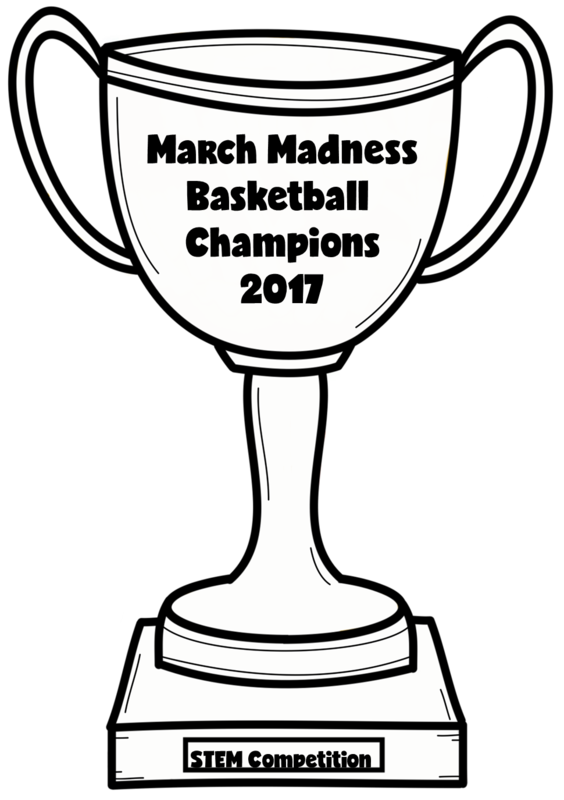 Each year, our family along with the significant others (boyfriends of our daughters) sign up for Fantasy Football and now NCAA brackets. We have to enter who we believe will win the 16 games played. Once we all have picked, we write down and verify what the winner would like as a prize. Let's just say last year's winner was my husband and the two lowest scoring...otherwise know as the BIG losers had to cut his toenails. Yes...he won and yes...this is what they had to do. This year...if I win, I want everyone that loses to cook a meal for the family. With my picky bunch, it is perfect. No one can complain about MY cooking. I love to share these types of stories...Why you might ask...to show traditions...to show how other families interact...to show them a free way to get everyone doing something together. Now to connect it to STEM and Science...I get them all excited! I let them know who I want to win...okay I picked Duke...and then I ask them if they would like to have a little basketball competition. I also have to let you know...I use this as an incentive. If they pass the end of the unit test, they are in our bracket...if they do not they take the test over and are spectators. I have very few kids not pass. 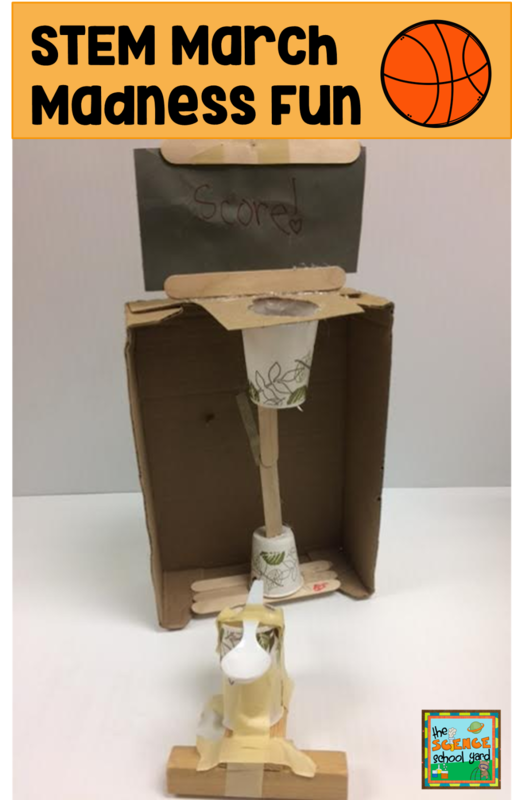 I then as the kids work on the STEM activity can work with my kiddos that are struggling. I can do a reteach and also build vocabulary. Once we set up the constraints and criteria...I assign one side of the table to build the flipper and the other side the hoop. This is what both teams will use for the first round of competition. Whoever wins...moves on. If it is tie...we have a different competition...wadded paper thrown into a garbage can! We play by putting tape on the floor and have them each take turns from the spot. It is like a free throw line...they throw at the same time...whoever gets the first basket wins! Now we move on to the next round of winners and repeat. Each team gets a set time to shoot and try to score. When that time is up, the next team gets a chance to beat that amount. I give 4 minutes. At two I say switch shooters. The spectators sit around the courts (tables). We play until we have a winning team! They love it! I found basketball candy at a Party Store. I also give them a championship metal to show how far they made it! 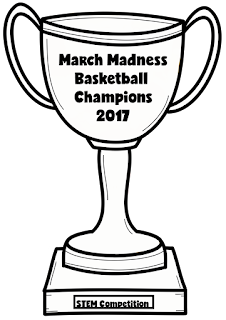 Here is a Free Copy of the March Madness Trophy for stopping by! 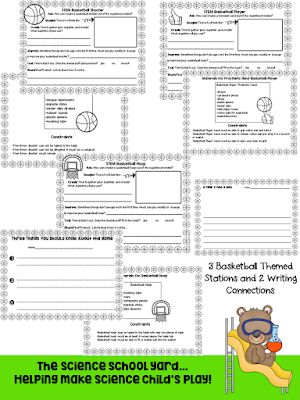 Thinking of your own basketball tournament in March or for a great end of the year activity for indoors or outdoors you can get your STEM March Madness Basketball Pack HERE.